Sony has launched a new tiny HD camcorder, the HDR-TG1. This tiny HD camcorder measures 1.3 x 4.7 x 2.5 inches and weighs just ten ounces. It features automatic face detection for video and photos. It is a full-featured camcorder that can record 1920 x 1080 HD video and 4-megapixel digital photos directly to Sony Memory Stick PRO Duo or PRO Duo Mark2 media cards. 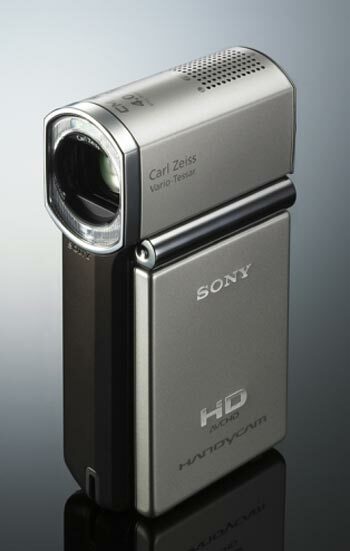 Its size and full recording capability makes it the world’s smallest full HD camcorder. The Sony HDR-TG1 will go on sale in May for around $900.